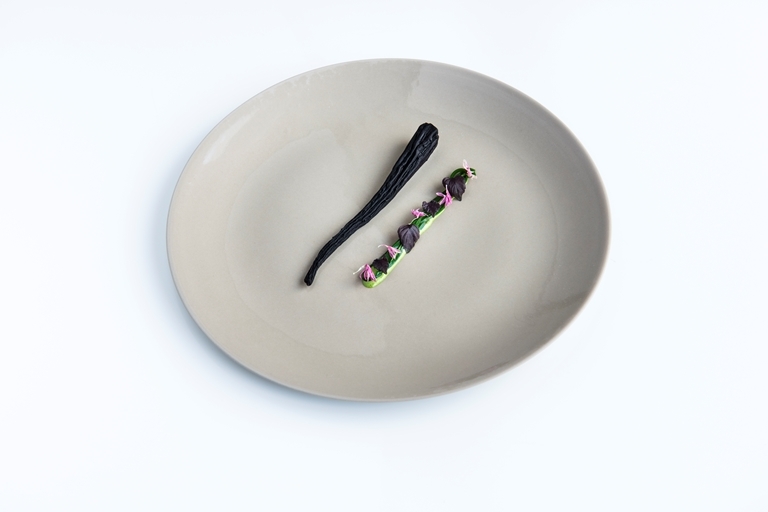 This beautifully minimalist amuse bouche recipe from Heinrich Schneider sees purple carrots served alongside a silky herb emulsion and vibrant herb jelly strips. The carrots are cooked sous vide before dehydrating to achieve an intense, concentrated flavour. 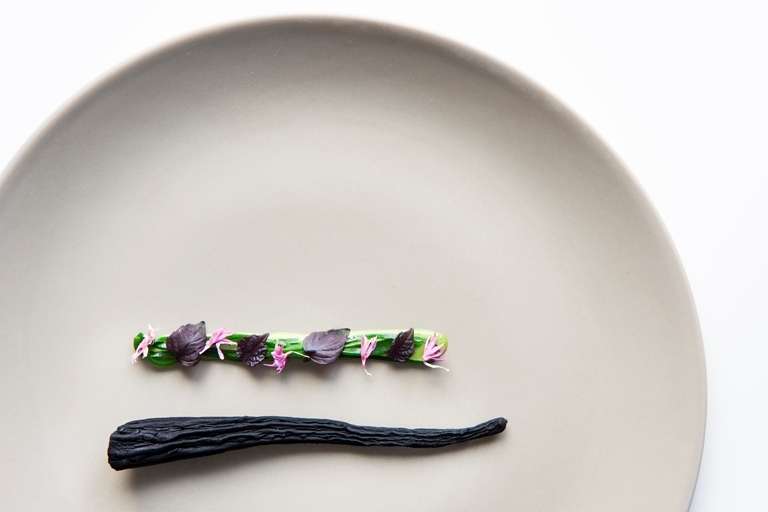 By taking inspiration and ingredients from the countryside of South Tyrol, Heinrich Schneider has become a true champion of the region's incredibly unique cuisine.